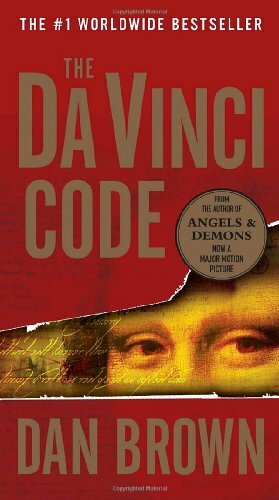 What's the Difference between The Da Vinci Code the Book and The Da Vinci Code the Movie? Robert and Sophie are leaving when he decodes the anagram of the Mona Lisa. Sophie goes back and he soon follows. Sophie decodes the Madonna of the Rocks and finds the key. The authorities get there and stop them, but they escape. She doesn't show Robert the key until they are in the car and they both know what it is because it had been previously discussed. Robert and Sophie work together to solve the anagram of the Mona Lisa, then the Madonna of the Rocks and Sophie goes to find the key which she doesn't know is a key yet. Then they escape together before authorities get there. Jacques Saunière is Sophie's grandfather. She was separated from the rest of the family when her parents died. Her grandmother at the end reveals that that Jacques had visited her throughout the years. Sophie's grandmother reveals that Sauniere wasn't her real grandfather. He was a member of the Priory that took her under his guardianship. Sophie wasn't with the rest of her family when the accident occurred. Only her parents died in that alleged accident. Sophie was in the car with the rest of her family but she survived the accident and Sauniere took her on the site. Robert Langdon is asleep in his Paris hotel room when he is awoken by a phone call from the police. They need his help. Langdon has finished a speech and is signing some autographs when he is approached by the police looking for his help.